“There was an explosion near our church in Deir Ezzor that destroyed it,” writes Br. Antoine Haddad, Viceprovincial Minister of Lebanon, in a message to us. The news was picked up by the media because the two Capuchin friars who lived there, with the help of the Lebanese and Syrian International Red Cross, and the nuncios of Lebanon and Syria, left with the Sisters of Mother Teresa and about ten seniors who lived in our place. They were the last remaining Christians in the area to leave. The church was completely destroyed, but until now it was not possible to know if the friary was hit or not, because there are no longer any Christians in Deir Ezzor, apart from one who returned because he lived in the ‘quieter’ area of the city. His attempts to get to the scene did not succeed because of intense gunfire. 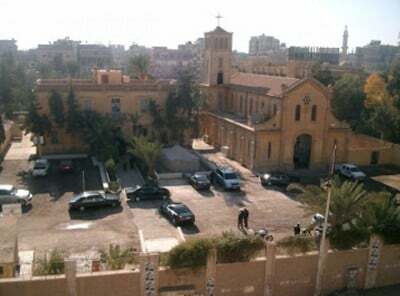 Until recently, our church of Deir Ezzor was the only one left almost intact. But then a few months ago there was a video on YouTube in which you could see the church with the door and side wall gutted and soldiers entering.